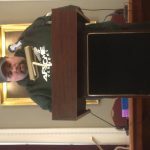 Montpelier, Vermont 4/3/19 -Vermont AFL-CIO Unions including AFSCME, AFT, IBEW, USW, & PFFV, have been fighting all winter to get legislators to advance H.428 & S.36, card check recognition for public sector workers. The bills were introduced in the House by Progressive Brian Cina, and in the Senate by Democrat/Progressive Phillip Baruth. If passed, card check would establish that whenever a majority of workers sign a Union card in any given public sector shop, their Union would be immediately recognized. 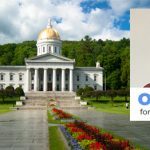 Despite Labor’s united front on this issue, the Vermont Senate and House (which is overwhelmingly composed of Democrats) has yet to hold hearings on the bills, let alone move them out of committee. 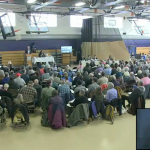 Brattleboro Representatives are holding their Representative Town Meeting. The crowd is slowly gathering at the gym, where those elected will be talking town and school business for most of the day. Will they approve an extra 1% local option tax? Will there be surprises, twists, and turns? We will find out. The Town portion of business comes first, and there are a number of preliminary formalities to endure before actual business begins. Brattleboro Districts 1 & 3 will caucus just prior to Representative Town Meeting on Saturday, March 23 at Brattleboro Union High School beginning at 8:00 AM in the Gym. Representative Town Meeting begins at 8:30 AM. District 1 will be accepting nominations to fill and appoint one town meeting member seat for 1 year. District 3 will be accepting nominations to fill and appoint one town meeting member seat for 1 year. Brattleboro Town Schoolboard will hold a pre-representative town meeting information forum on Wednesday, March 20 at Green Street School beginning at 6:30 PM in the Gym. At 6:00 p.m., town meeting members of each district will be available to meet with constituents to offer residents an opportunity to share their views and discuss articles to be voted on at the annual meeting. Also, at that time, Districts 1 and 3 will be accepting nominations to fill town meeting member vacancies for 1 year. New Town Meeting Representatives – Young Ones! I am happy to say that my son Cade Glover-Yellovich (pictured, on right) caucused in as a District 3 Town Meeting Representative last night, joining Andrew Marchev (left) as the voices for the ‘youth’! Brattleboro Town Selectboard will hold a pre-town meeting information forum on Wednesday, March 13 at Academy School beginning at 7:00 PM. Representative Town Meeting articles will be discussed, including the budget, and the bond issue. At 6:30 p.m., town meeting members of each district will be available to meet with constituents to offer residents an opportunity to share their views and discuss articles to be voted on at the annual meeting. Also, at that time, all three districts will be accepting nominations to fill town meeting member vacancies for 1 year. 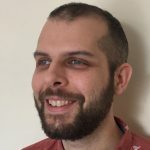 Another in our series of 2019 selectboard candidate interviews, this time with Oscar Heller who is running for a one-year seat. I was born in New York, but when I was 14 my parents picked a summer camp at random off the internet. That camp was Camp Waubanong in Brattleboro. I spent most of the next dozen summers in Vermont. In 2014 I moved here for good. I live on Elliot Street, just before the park, with my girlfriend Jessie and our two cats. We continue our series of interviews with candidates for Selectboard, this time with Tim Wessel, the only incumbent and a three-year seat candidate. Hi, I’m Tim! I’m a father to a 29 year old AND a 13 month old, which is crazy and strange and pretty darned wonderful too. I work for myself running Vermont Films, a video production company here in Brattleboro, and I spend my work life shooting and editing films for many different clients, both local and national. Many people saw my appearance on House Hunters on HGTV a few years back, and I also work in production for that show about once a month, usually traveling to do so. 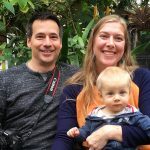 My wife and I just celebrated our second wedding anniversary, and the first birthday of our son. 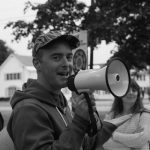 Next in our series of interview with Brattleboro Selectboard candidates is Daniel Quipp, running for a one-year seat. I’m originally from Wales and married to a person who grew up in Newfane. 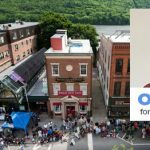 I have been coming to Brattleboro since 2004 and have lived here since 2014. 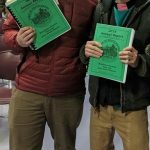 I’m currently a crisis fuel worker with SEVCA and just started a new job with Vermont Interfaith Action working in Windham and Bennington counties. It’s time once again for selectboard candidate interviews. All candidates have been emailed questions and we’ll put up answers as they come in. 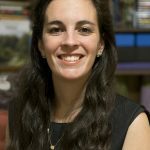 First up, running as a write-in candidate for selectboard, is Rikki Risatti. As an Artist, Educator, and Supreme Court Litigant: I advocate with Public Liberation Unions. I have had to wear many hats.